This favorite drink of women has called upon the genius of Karl Lagerfeld to dress the Coca-Cola light aluminum bottle. 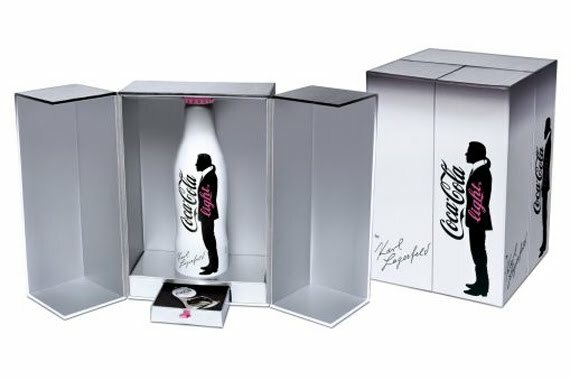 The designer affixes his style and his famous silhouette on the bottle and delivers an exclusive creation with chic lines and also a unique box in limited edition, accompanied with a bottle-opener discreetly hidden in a drawer. Available April 24th at Colette.